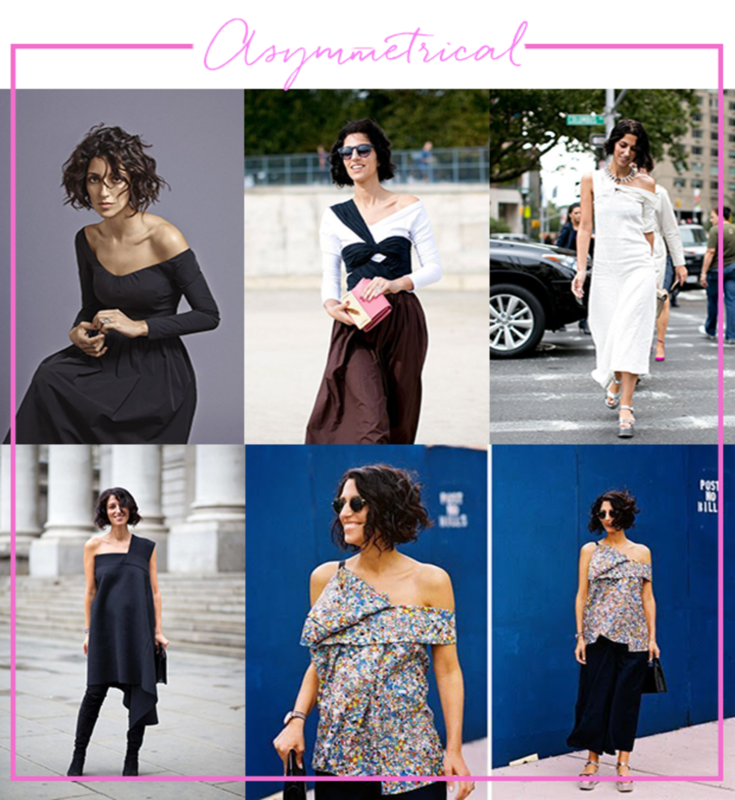 I&apos;ve admired Yasmin Sewell&apos;s quirky style for a few years. I like her offbeat curly bob that doesn&apos;t conform to fashion-girl standards, and essentially every ensemble she&apos;s ever put together. She&apos;s a retail consultant and the recently-named first Fashion Director for Style.com, who really knows her stuff and radiates beauty and cool from the inside out. 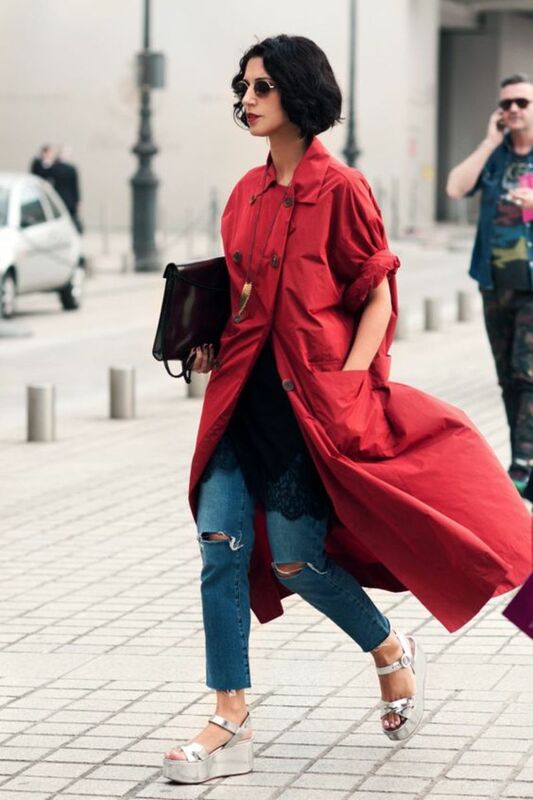 She runs with the jet-setting Miroslava Duma crowd, and fellow Style Breakdown study Christine Centenera. Her style can seem pretty intimidating at first, but we analyzed hundreds of images to nail down a few of the formulas that seem to govern her sartorial choices. 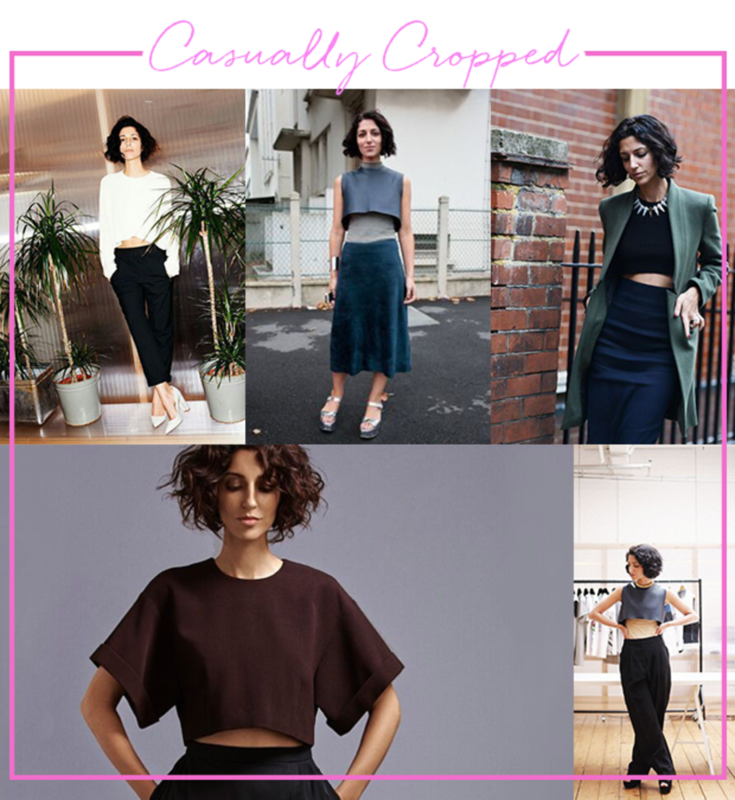 I tend to think of crop tops as being form-fitting/body-hugging, but Sewell nails the casually-cool crop top. They&apos;re boxy, billowy-sleeved, or long-sleeved, and seem like they just happen to be cropped versus a more obvious, "look-at-me- I&apos;m-cropped" kind of top. She also layers them over tissue-thin tanks and turtlenecks for a further nonchalant effect. 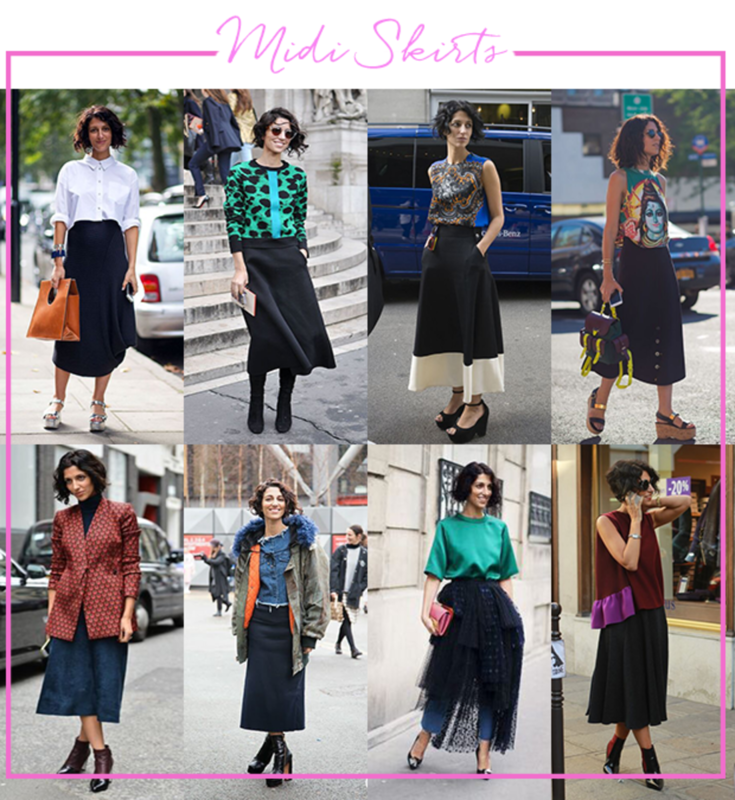 When wearing skirts, Sewell almost exclusively opts for a midi length with structure and/or billowing. 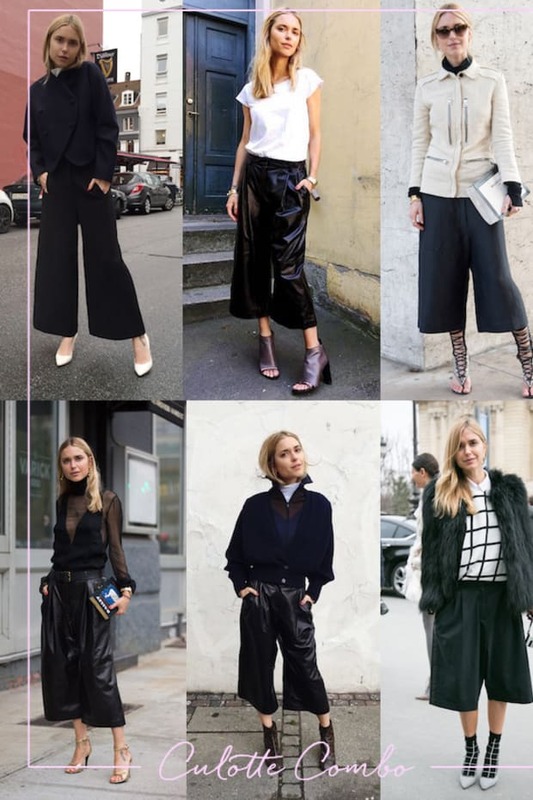 She balances the volume of the bottom half with more crisp, tailored pieces on top like basic shells, crew-neck sweaters, and button-downs or blazers. Another key observation: she keeps the palette of these midi skirts black or navy blue. The dark colors create sleek lines and provide a more slimming silhouette to counteract the voluptuous shape of the skirt. 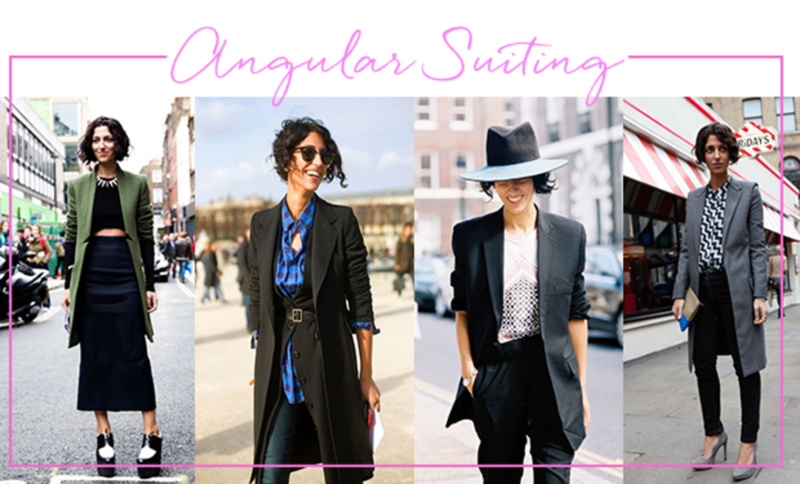 Speaking of tailoring, she wears a ton of thin blazers with razor-sharp angles and structured shoulders. Even with a simple trouser or skirt, these basic menswear pieces look fresh when worn over tops with interesting visual details - whether a crop top or laser cut-out (first and third images), or a bold plaid or geo print (second and fourth). 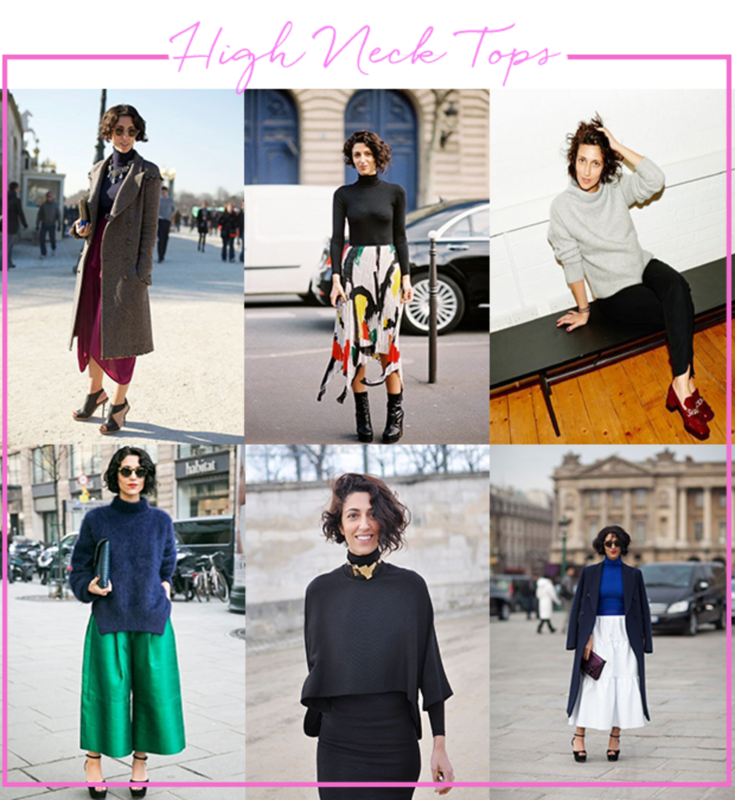 She loves a high-neck top, from classic tissue-thin turtlenecks to looser, more unfussy versions. Again like with the midi skirts, she keeps these tops solid-colored and mostly neutral - dark blue, black, or gray. A turtleneck, even looser-fitting ones, pretty much always make you look effortlessly polished. 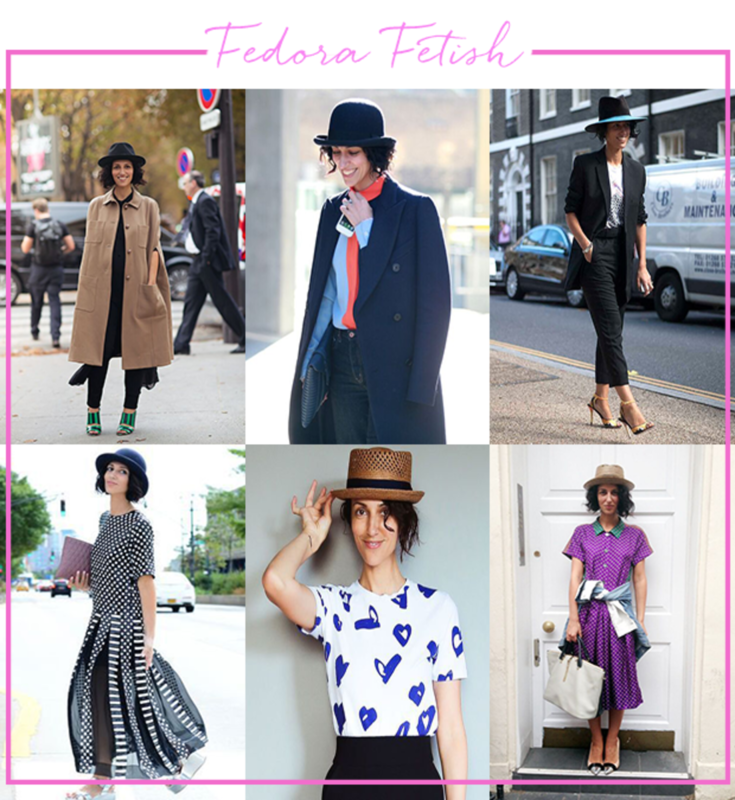 There something so playful about an outfit topped off with a fedora. Sewell doesn&apos;t shy away from capping her look off with a cheeky hat, and usually balances the hat with a combination of tailored pieces and fun details: a blazer over a brightly color-blocked shirt; a coat with dazzling green shoes; a collard shirtdress in a bold purple print; or a crisp pencil skirt with a heart tee. Like any smart dresser, Sewell knows her strengths and plays to/showcases them. She has slim, slender shoulders, so she favors an off-the-shoulder cut. But to make things interesting, her OTS is almost always asymmetrical, which looks seductive, stylish, unique, and of course, plain old cool. 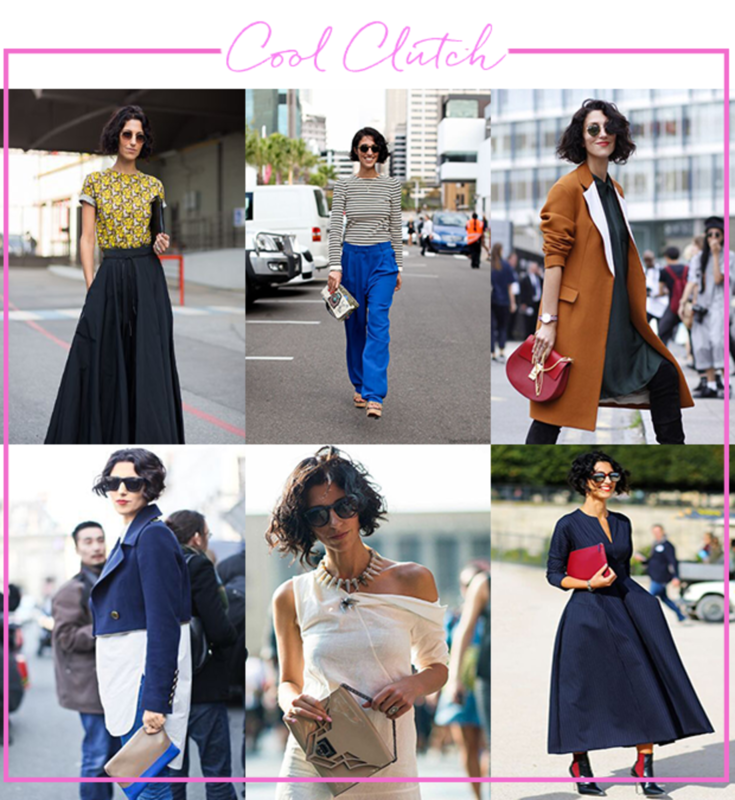 Her bag style of choice is a statement clutch, which gives outfits a less serious vibe. She&apos;ll often take bags that actually aren&apos;t clutches inherently, and just hold them as a clutch - it&apos;s a more carefree kind of look. The clutches are high impact - be they bright red, electric striped, bejeweled, or architectural. Lastly, she isn&apos;t afraid of rainbow-colored outerwear. 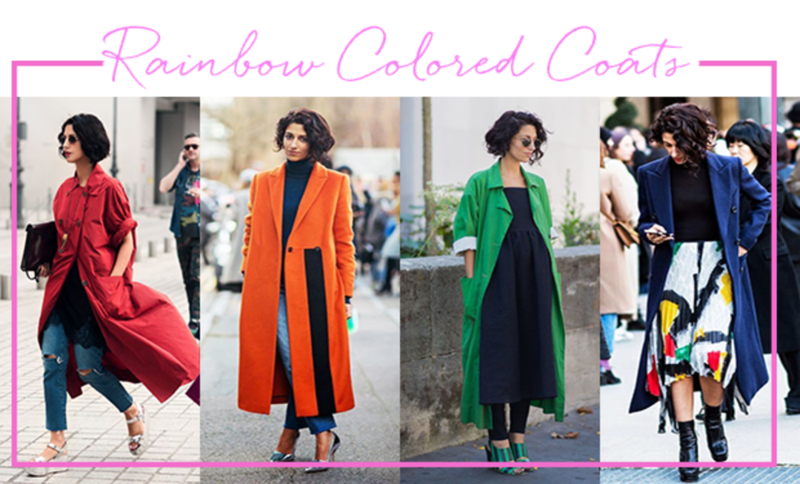 There&apos;s a confidence that a brightly-colored coat imbues its owner with. And who doesn&apos;t simultaneously want to be, and be friends with the kind of girl who can rock a bright orange menswear coat? Check out previous style breakdowns on Natasha Goldenberg and Taylor Tomasi Hill.